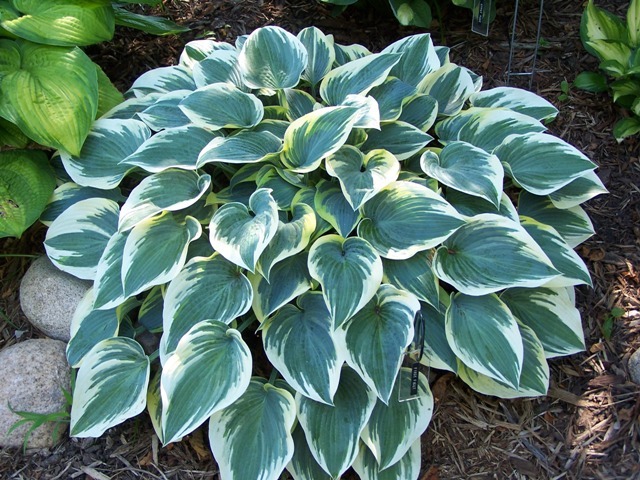 A showy hosta, with more of a creamy edge to the blue Hosta 'Halcyon' leaves. Very reliable. It was named because it looks good until the first frosts of winter. The American Hosta Growers Hosta of the Year for 2010. Click the button below to add the First Frost to your wish list.